Brasserie de l’île – quel dommage! I went to Brasserie de L’île last Friday for lunch with AB. I was panicking because I hadn’t made a reservation and of course all of the lunch favorites were booked. 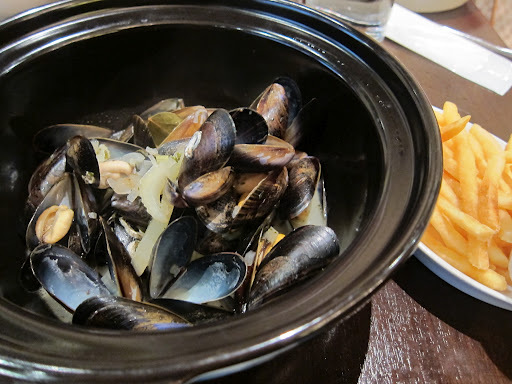 A quick search on some of my go-to sites on my blogroll led me to recall the new French bistro on Arbuthnot Road – one mentioned “the best mussels in Hong Kong so far…”. A bold statement indeed, but was it true? Don’t you just love a good bistro? They are really popping up all over the place, aren’t they? Did you know that ‘the French community in Hong Kong has grown more than 60% since 2006, and now numbers more than 10,000?’. I was so relieved to find that they could make room for us, and anticipated a nice French lunch. That was, sadly, not to be. 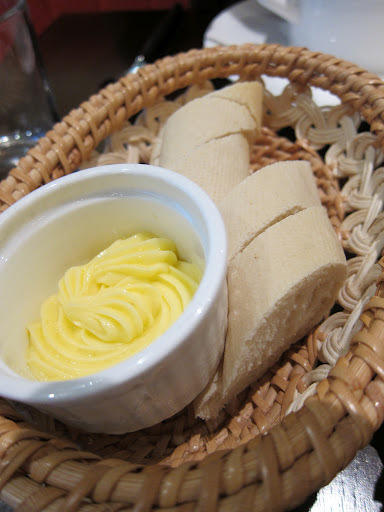 First of all, I always judge a French restaurant by the quality of it’s bread – if they can’t get that right, then your meal is doomed from the start.The ‘baguette’ looked as if it had been bought in a bag at Costco (sold in a pack of two, buy three get one free), and bunged in the oven. 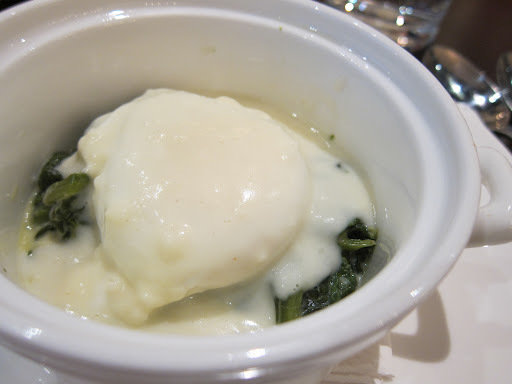 Even my beautiful camera could not make this starter look appetising, and it would be very unladylike of me to tell you what I think it resembles! It was unseasoned, bland, unattractive, unremarkable, and I didn’t finish it. That is a rare thing for me. The mussels had flavour yet were small and chewy, and it didn’t matter that the sauce was quite tasty and light, the mussels have to seal the deal. 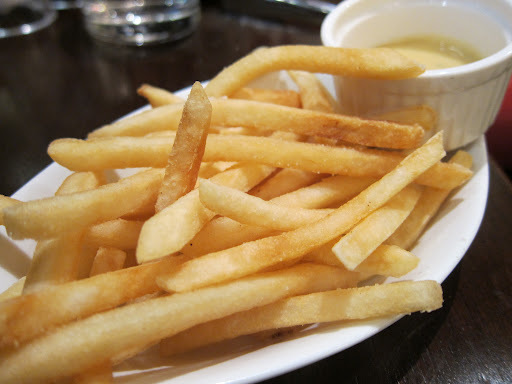 One redeeming factor was the dish of crispy fries served with béarnaise sauce. When you order the large pot of mussels à la carte, you are offered unlimited fries – I’m always a sucker for unlimited or bottomless anything.I’m not sure I’d be willing to give this place another try. With the plethora of bistros popping up around town, one almost can’t keep up with the new openings, and a restaurant with sub-par food will just not survive. It is such a shame because they have such a great venue, but location alone does not a great restaurant make. The fact that this huge space was largely empty for a Friday lunch seating does not bear well for Brasserie de L’île.Please don’t let me stop you from trying it yourself, as perhaps a set lunch is not the best way to rate a restaurant. But that’s my two cents. you're too kind; that food looks awful.